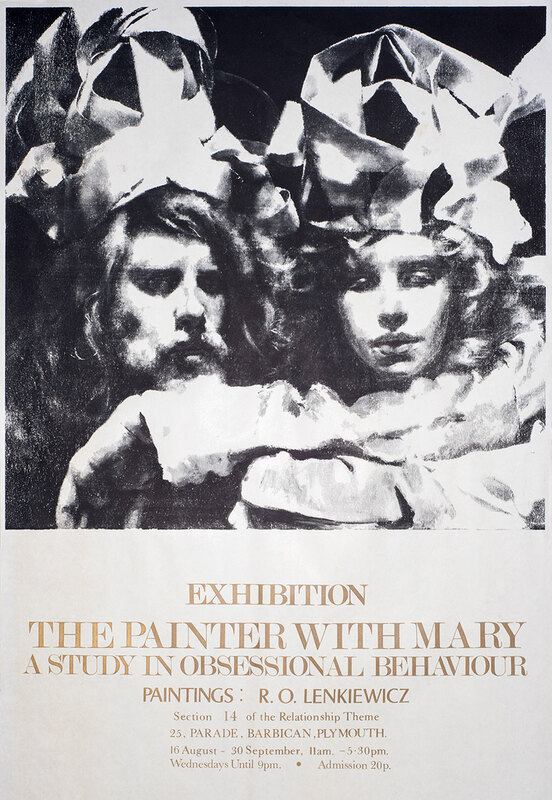 We will be privileged to have on display a selection of original works and facsimiles from The Painter with Mary Project on loan from The Lenkiewicz Foundation. There will be also a rare and final opportunity to purchase a small number of beautifully presented limited-edition lithographic prints from The Painter with Mary Project, which are signed by Robert Lenkiewicz and are exclusive to the Reuben Lenkiewicz Gallery. There will also be a number of the few remaining copies of the limited edition ‘The Mary Notebook’, for purchase, each with signed artist’s certificate and beautifully bound with a slipcase. This is a unique and remarkable exhibition which shows a deeply intimate and personal relationship. Robert recorded every intimate feeling and moment from their first feelings of passion to their romantic honeymoon in Rome. The Notebook is a beautiful compendium of sketches, illustrations, paintings and journal notes. As the publisher of The Mary Notebook, Francis was central to its circulation both in print and also digital form. Francis has been involved in bringing many exhibitions of Lenkiewicz’ work to the public in this country and abroad. He also knew Robert Lenkiewicz very well for many years.